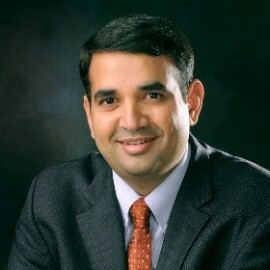 Uday Turaga is Founder & CEO of ADI Analytics, a management consulting firm based in Houston, Texas, and specializing in oil and gas, energy, and chemicals. Through 19 years of industry experience gained at ExxonMobil, ConocoPhillips, Booz & Company, and ADI Analytics, Turaga brings deep commercial and technical expertise in oil and gas, coal, renewables, and chemicals. Turaga has led ADI Analytics for the past nine years and through 300 projects for over 100 clients including ExxonMobil, Shell, Saudi Aramco, BASF, GE, Honeywell, and U.S. Department of Energy. Turaga holds a PhD in fuel science from Penn State and an MBA from the University of Texas at Austin. In addition to authoring over 100 papers and patents, he has been recognized by the U.S. National Academy of Engineering, the American Chemical Society, and the Penn State Alumni Association. Finally, Turaga has been featured in the Wall Street Journal, National Public Radio, and Bloomberg, and is a frequent speaker on energy issues at conferences and events globally. For more information, please visit www.adi-analytics.com.